Show your Support for your local public radio station! Orders will ship within 10 business days of this fundraiser ending on 12/17. We are public radio station and we have been working hard the past couple years making necessary upgrades to all our equipment. Our latest need to fix...are the leaks in our antenna line, and to avoid further problems down the road we need to resolve as soon as possible, as the patches did not hold. Tower crews and engineer work is needed to resolve the issue. 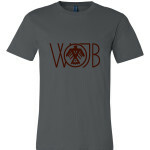 Buy a T-Shirt for your lovers of WOJB and help a good cause at the same time! I enjoy your programming! Glad I found you! 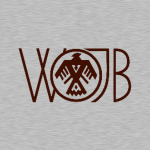 I was turned on to your station at Deer Camp many years ago, and while I no longer hunt up there, I enjoy listening to WOJB on-line from Chicagoland, specifically the Afternoon Show and Blues Monday.